The celebrities Pranayaraja “Shrinath” and “Padmavasanthi” as guests Telecasting from 9.00 PM to 10.00PM From 16th January 2017. 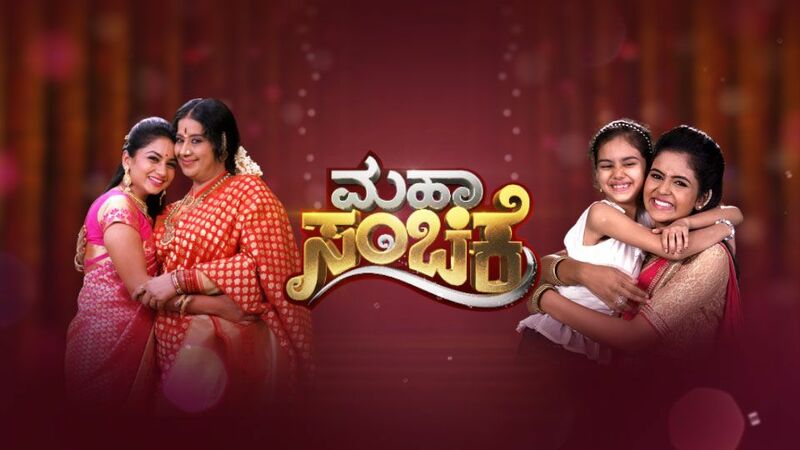 The pride of star suvarna , “Amrithavarshini” and “Avanu Matte Shravani” have become the favorite shows of Karnataka. Crossing thousand episodes, Star Suvarna has planned for “Megha Episodes” clubbing both serials from 9PM to 10PM, from 16th January to 20th January. The protagonists, Shravani and Amritha individually are in critical situations in their lives and failing to solve their problems, both the families decide to visit a holy temple seeking answer to the God. In this journey, they face many life threatening instants and how they overcome them is interesting and exciting plot stored for audience. They face many surprises and shocks at temple premises too. The celebrities “Pranayaraja” Shrinath and Padmavasanthi, join the two families and help them solve major riddles, which is also interesting plot of the megha episode. Amrithavarshini and Avanu Matte Shravani Mahasanchike will be telecasted from coming Monday, night from 9PM to 10PM.